Saturday I had the pleasure of attending one of the most amazing events I've been to in a long time. The Essie Golden #GoldenConfidence Pool Party. Essie is a PS blogger/model who is the genius behind this sold out event. She came up with the idea of inviting woman to enjoy a rooftop pool party giving us the opportunity come dressed in our best swimwear. 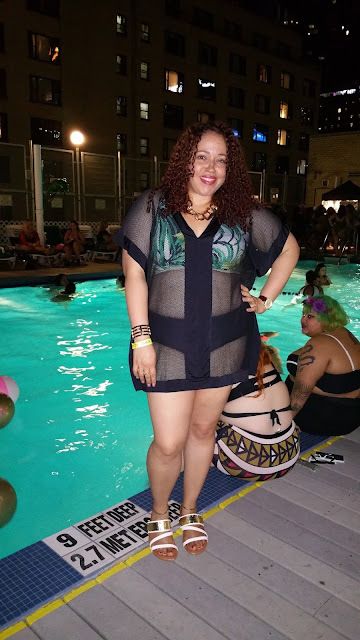 Now I know for some woman the thought of being around a bunch of people in your swimsuit can be a terrifying, but this was a safe, non-fat shaming environment. Where you could come and chill, relax, mingle with other amazing woman, dance and enjoy some pool time. 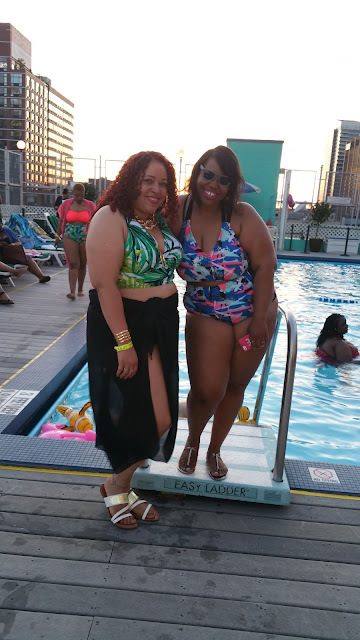 I had never felt so comfortable in a swimsuit in my life and being surround by so many other fabulous woman, that were dressed to the nines in ALL types of swimwear, just made it that much better. 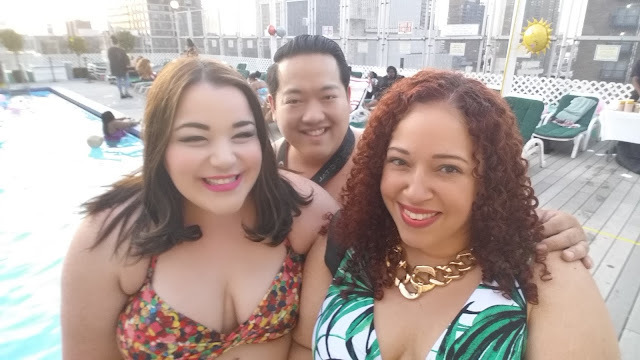 Lane Bryant was kind enough to gift me my swimsuit for the evening and I have to say I loved it. The Palm Print Top was just perfect for the occasion with the festive tropical print. Unfortunately the matching bottoms had sold out in my size so I went with their simple Swim Hipsters Bottom. This swimsuit definitely made me feel confident and beautiful in my skin. 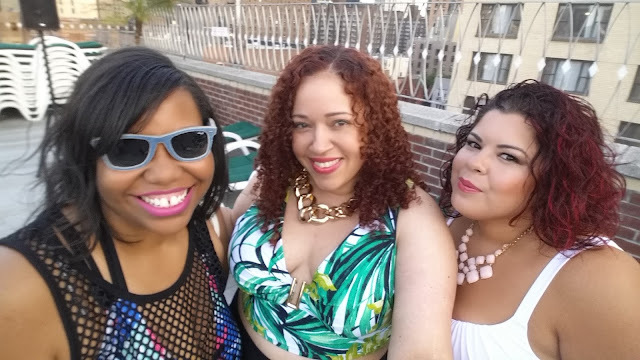 Of course one of the best things about attending these great events is being able to see your blogger babes and friends all together in place. Enjoying good conversation, taking selfies together and just having a good ole time! Essie Golden's event was a huge success and I can't wait for the next one! To see more pics from the event, search the hashtag #GoldenConfidence on Instagram and Twitter! Thanks, it was an amazing time!